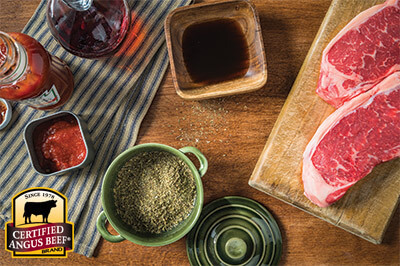 Give steaks incredible flavor with this easy Grilled Steak Marinade recipe. The combination of sauces adds delightful sweet/savory taste with a kick inside and out. Combine all ingredients. Place selected Certified Angus Beef® brand cut in zipper locking plastic bag and pour marinade over selected cut. Close bag, removing air. Refrigerate at least 2 hours or overnight. Discard used marinade.